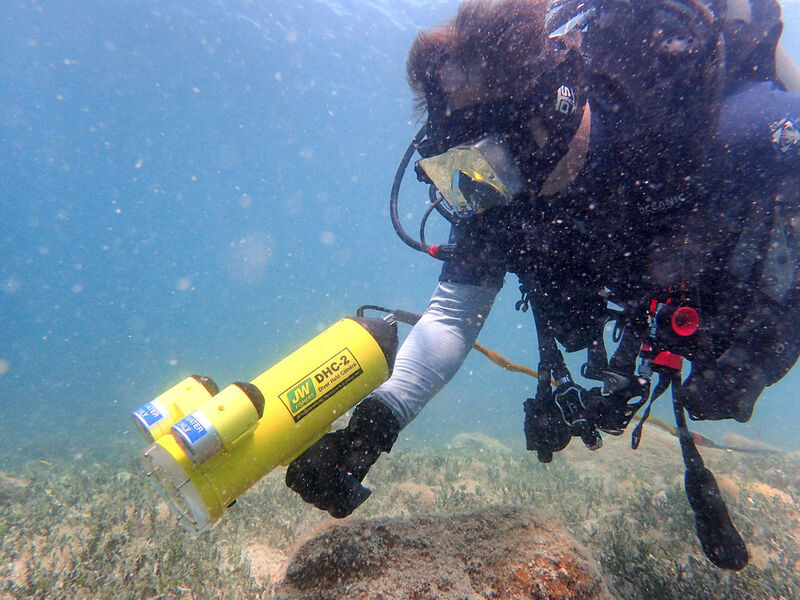 A diver controlled, underwater camera system with topside viewing. 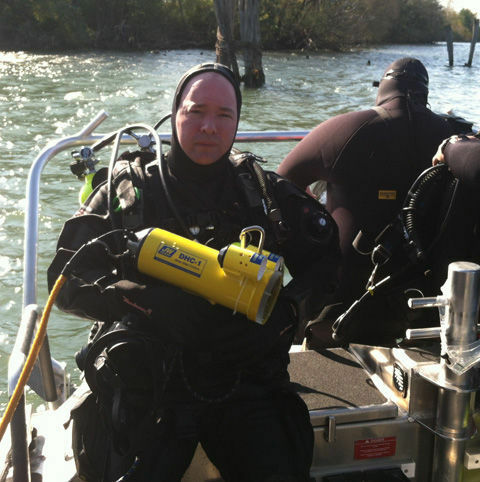 Fishers diver held underwater video system is ideally suited for commercial operations. 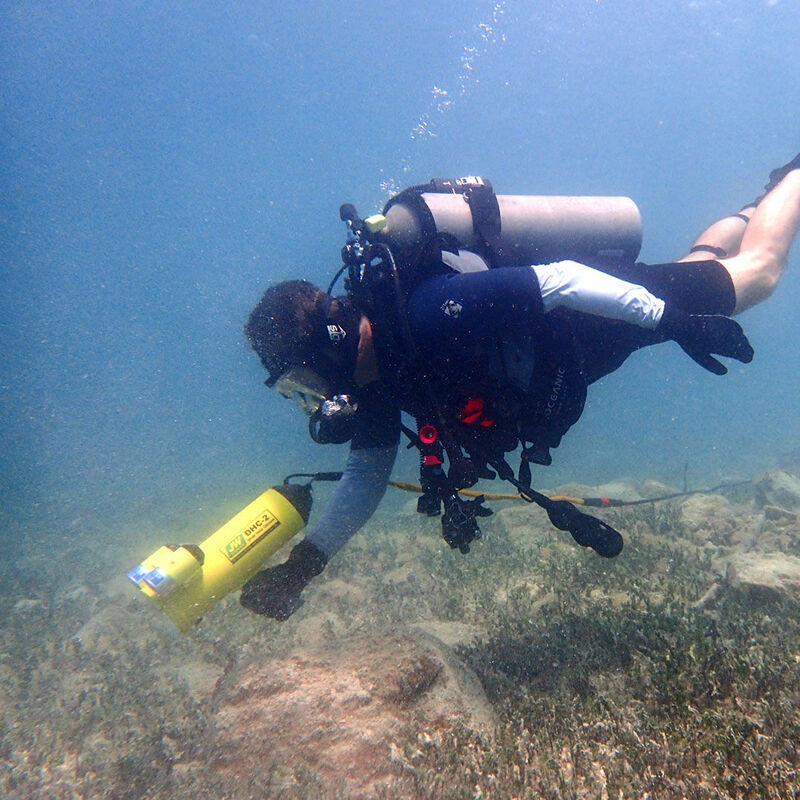 The DHC-2 Diver Held Camera (an upgraded version of Fishers popular DHC-1) provides a cost effective method for underwater search and video inspections. 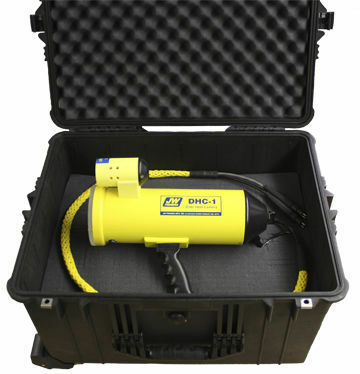 The DHC-2 is an ideal tool for hull inspections, bridge inspections, or any of the numerous underwater structure inspections encountered by today's commercial diver. The next generation DHC2 is now equipped with two 1500 lumen LED lights. A switch on the DHC-2 housing lets the diver control the amount of light on the target. 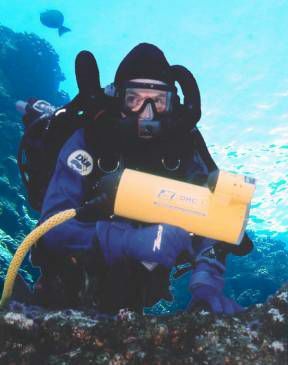 The DHC-2 can be carried by, or mounted to, a diver. The system can also be attached to any underwater structure for around-the-clock monitoring of underwater sites. The camera operation and lighting are controlled with a switch on the rear of the camera housing and can also be controlled from the surface. The DHC-2 uses power from the boat to operate its camera and lighting systems. A built-in GFI circuit ensures diver safety. The system can be used in water depths up to 500 feet.